Paperback, 6.75 x 8 in. / 144 pgs / 150 color / 30 bw. 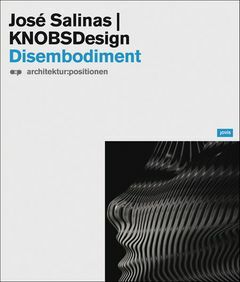 In the context of everyday urban existence, disembodiment is defined as the process by which we are robbed of a coherent experience of our own physicality in relation to its surroundings. The work of architect José Salinas, examined here, investigates the intimate connection between the body and built structures, deconstructing the energies that accumulate through the city's reconfiguration of ambient space. FORMAT: Pbk, 6.75 x 8 in. / 144 pgs / 150 color / 30 b&w.